I just emerged from the windy, winding, wilderness that is referred to by industry as “the Tar Sands Triangle.” It’s a vast stretch of mesa tops bisected by steep, narrow canyon walls, only accessible by forty miles of washboard dirt roads after a barren stretch of highway. 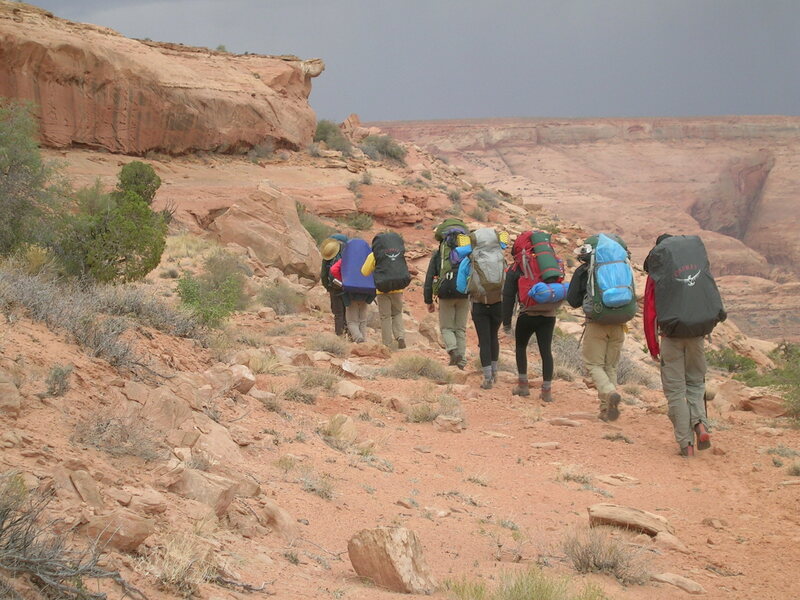 I was lucky enough to accompany a group of college students with the Wild Rockies Field Institute into the backcountry to give a lesson on unconventional fuels on the Colorado Plateau. Historically this area was used by ranch families and was even a hangout for the notorious Wild Bunch when they were running from the law. Cattle, horses, pronghorn, and even wild burrows are scattered between the sand dunes, sage, and blackbrush. Butch Cassidy, the Sundance Kid, mysterious Etta Place, Kid Curry, Elzy Lay, and the rest would herd stolen cattle up to these parts and corral them in tucked away pastures ringed with natural rock walls. They could see a posse coming from miles away because of the dust they’d kick up as they rode. In that time, the Wild Bunch would escape into the canyon maze and emerge 100s of miles away. Recently this area was dubbed a “Region of Historical Significance,” which in the end will hopefully help protect it against the threat of tar sands mining. 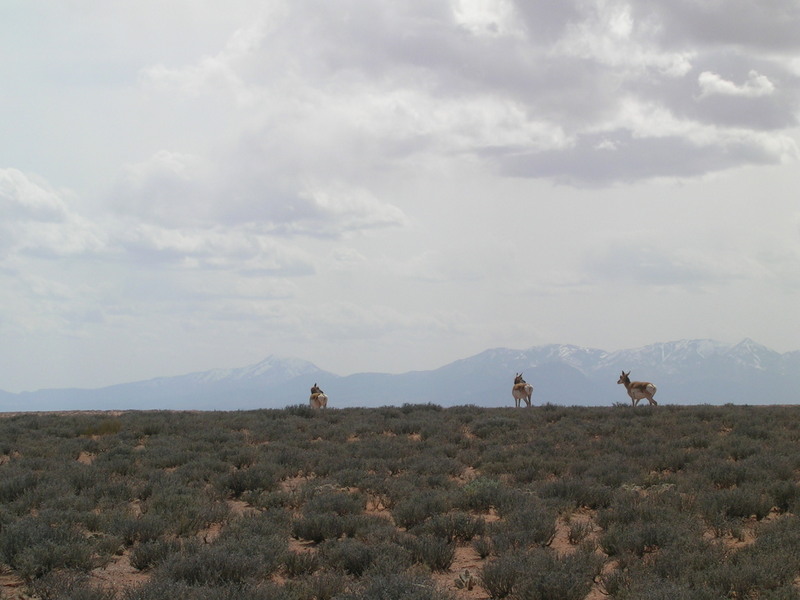 Pronghorn in front of the Henry Mountains, the last explored mountain range in the lower 48. 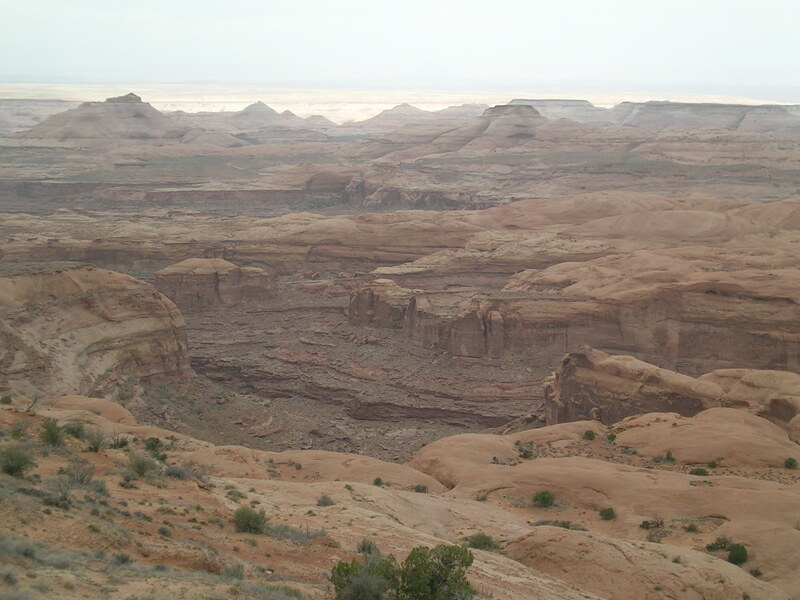 The canyons cut steeply down, revealing layer after layer of ancient rock, exposing the past to our curious scrutiny. Navajo domes crown the canyon– peach, pink, ruddy. We followed a trail for a while that was hewn into this rock by ranchers or uranium prospectors. The kayenta layer emerged as we dropped. It’s composed of purplish slabs of fossilized mud from a shallow seashore gone by. Here one can sometimes find the detailed print of a dinosaur foot left on the ancient mud flats. We hiked down to the canyon bottom where cottonwoods were just leafing out and smells of wet willow blew in spring gusts. It rained all day; there was lighting and thunder overhead. Hail came and went and then the sun shone in a blue sky right before it disappeared over the tall Wingate wall. It’s been dry this year, so the chilly moisture was welcome. As climate change progresses, it’s predicted that this area will become more arid with extremes in heat and drought. 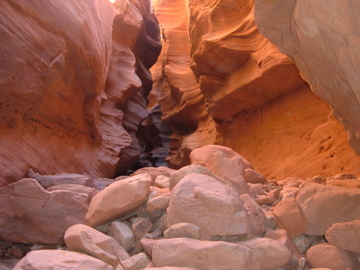 Narrows in White Rim Sandstone. This is the layer that tar sands are found. The class was curious and engaged, they already knew about Alberta Tar Sands and they all believe in climate change. It was nice. 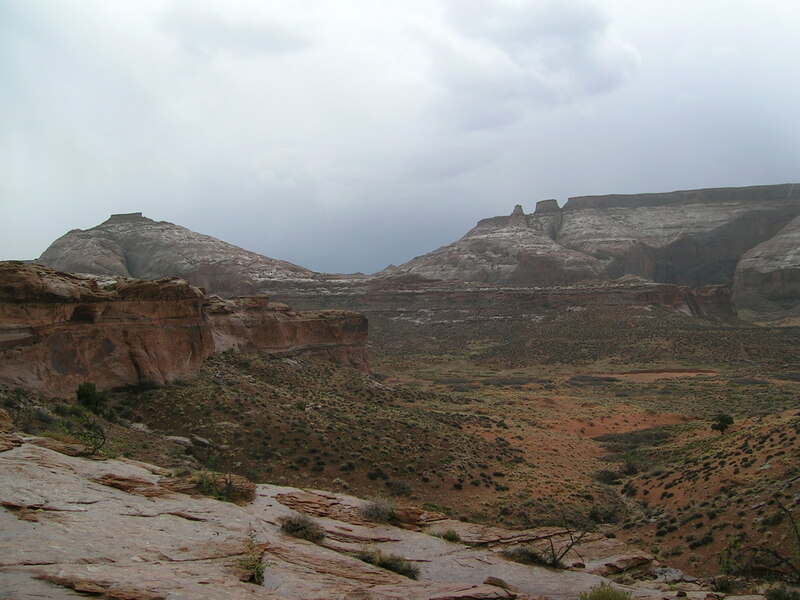 Then we delved into details about oil shale and tar sands on the Colorado Plateau. Water use and industrialization of wild places were the main topics of discussion. At some point one of the students stopped me, “Wait, the oil and gas industry doesn’t have to abide by the Safe Drinking Water Act?” No siree, thanks to the Energy Policy Act of 2005, injection wells for fracking aren’t protected by this act. It was good to be in that Desert. I hiked out the six miles alone the next day. I was reminded that I come from this place. I don’t own it, no one does, but it has shaped me none-the-less. It’s wild, untamed, inaccessible, un-ownable. It’s fierce, nurturing, resilient and fragile all at once. 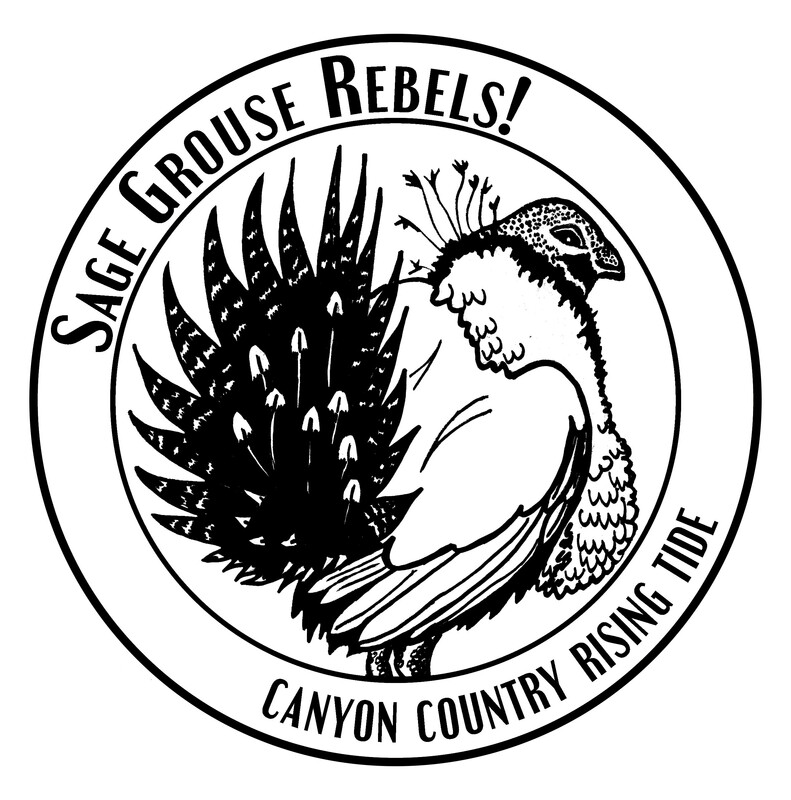 I am from the Colorado Plateau and if I don’t rise up to protect it, who will? As Edward Abbey nicely put it, “Sentiment without action is the ruin of the soul.” I will not let vast expanses of this wild desert be destroyed, the climate irreparably altered, and our communities bombarded with boom-town trouble for the prosperity of the oil empire. We can do better, and we will. Rain on the Navajo slickrock. Wild Rockies Field Institute class hiking into the Dirty Devil River. Posted on April 10, 2013, in Thoughts and tagged tar sands triangle. Bookmark the permalink. Leave a comment.